Railpictures.ca - Paul Santos Photo: On the south side of the diesel shop UP SD70ACe waits for pickup by the turntable. The turntable sides are covered with black tarps to minimize drifting snow accumulating into the pit and slowing/stopping it’s operation. | Railpictures.ca – Canadian Railway Photography – photographie ferroviaire Canadienne. 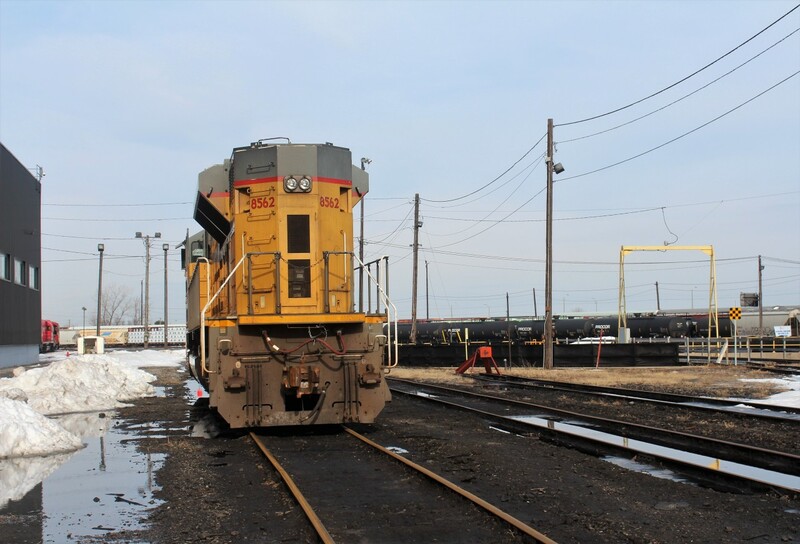 Caption: On the south side of the diesel shop UP SD70ACe waits for pickup by the turntable. The turntable sides are covered with black tarps to minimize drifting snow accumulating into the pit and slowing/stopping it's operation.